embedded world 2017, Nuremberg, Germany—March 14, 2017—IAR Systems®, a future-proof supplier of software tools and services for embedded development, presents a new version of the state machine design tool IAR Visual State™. The new version will be demonstrated in IAR Systems’ booth 4-216 at embedded world 2017. IAR Visual State is a set of tools for designing, testing and implementing embedded applications based on state machines. 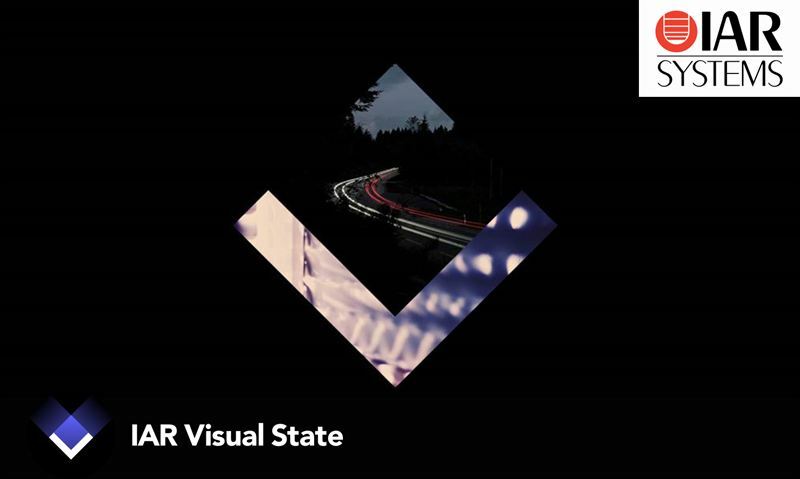 Developers use IAR Visual State to build their design from a high level, structure complex applications, step by step add functions in detail, and automatically generate code that is 100 percent consistent with the design. This methodology can be extremely helpful when realizing large design projects for embedded applications, for example in the automotive industry. The tools also provide advanced formal verification, analysis and validation to ensure that the applications behave as intended. The updated IAR Visual State, version 8.1, adds several features including variant handling that simplifies large design projects and brings order to the sometimes very large number of design variations that can come from different requirements, for example within different geographic markets or different feature levels. “The new version of IAR Visual State and the added variant handling feature is a perfect match for customers looking for simplicity and order in their large design projects, especially companies in the automotive industry focused on user interface designs such as car navigation systems and display audio solutions,” says Kiyofumi Uemura, Global Automotive Director, IAR Systems. IAR Visual State can be fully integrated with IAR Embedded Workbench®. Using both tools together brings out several unique features such as true state machine debugging directly in the C-SPY® debugger in IAR Embedded Workbench. More information about IAR Visual State is available at www.iar.com/vs and in IAR Systems’ booth 4-216 at embedded world 2017, March 14-16, in Nuremberg, Germany. Editor's Note: IAR Systems, IAR Embedded Workbench, IAR Connect, C-SPY, C-RUN, C-STAT, visualSTATE, IAR Visual State, IAR KickStart Kit, I-jet, I-jet Trace, I-scope, IAR Academy, IAR, and the logotype of IAR Systems are trademarks or registered trademarks owned by IAR Systems AB. All other products names are trademarks of their respective owners.